Looking for something to do with the clan this winter? Now's the time to gather up that group of friends or family and plan a visit to Sherwood Forest B&B for one of our awesome Gourmet Dinners. From November through April, let us wine and dine you. Book the entire B&B for 2 nights or more and we'll have such a feast catered, your taste palates won't allow any leftovers. We've cornered the market on the best chefs Saugatuck and Douglas have to offer. These epicurean wizards of gastronomic delights will amaze you in what will be your own private dining room, and you'll have the time of your life. Here are the details: dinner is $50 per person, you provide your own alcohol, and a 2-night minimum stay is required. You pick the date November through April and we'll pick the chef. Bring your appetite and whatever you need to wet your whistle, sit down, and dinner is served. Black out dates are New Year's Eve and Valentine's Day weekends. Give us a call and we can fill you in on all the details! 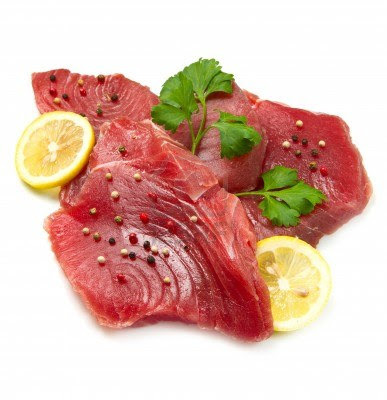 Seared Tuna - Sashimi grade tuna marinated in lemongrass, kaffir lime leaves and Asian spices then quickly seared, sliced and stacked with vegetables and served with a wasabi aioli. Mixed Greens - Greens tossed with Napa cabbage, spicy bean threads, oranges and a citrus-soy dressing. Duck - Half a roast duck boned and baked with a ginger-plum glaze. Served with scallion wild rice and sesame stir- fried julienne of vegetables. Have an awesome day my friends!